HRANA News Agency – As reported by HRNA, the news agency of Human Rights Activists in Iran, on Saturday, February 3, 2019, Mehran Bandi Amirabadi and Mehran Eslami Amirabadi, two Baha’is in Yazd, were sent to prison in that city to begin serving their sentences. 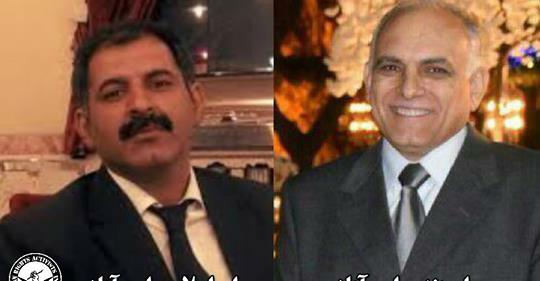 On January 12, 2019, branch 11 of the appellate court of Yazd province sentenced each of these two citizens to one year in prison. 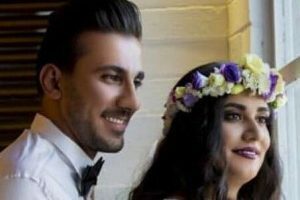 A source close to the two told HRANA’s reporter: “These two Baha’i citizens began serving their prison sentences although they had not been issued any notification of the start of their imprisonment, but on Thursday, January 31, security agents planned to arrest Mr. Bandi Amirabadi. Therefore, the two turned themselves in to begin serving their sentences”. After an appeal of the sentence issued by branch 3 of the appellate court, the country’s Supreme Court referred the case to branch 11 of the appellate court of Yazd province – a laterally equivalent court – for sentencing. In August 2018, Mehran Eslami Amirabadi and Mehran Bandi Amirabadi were arrested and transferred to Yazd prison to serve their sentences. After an appeal against the sentences, and upon confirmation of the appeal by the country’s Supreme Court, they had been temporarily released last month, pending the completion of the inquest. 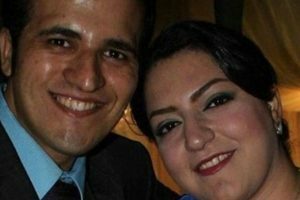 Last August, these two Baha’is, together with five other Baha’is, were tried by branch 3 of the appellate court of the Yazd province. Subsequently, Mehran Eslami Amirabadi was sentenced to one and a half years in prison and one year of internal exile to Saravan, and Mehran Bandi Amirabadi was also sentenced to one and a half years in prison and one year of internal exile in Divandareh. 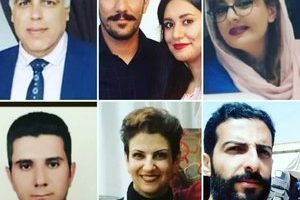 The other five Baha’is – Sorour Forughi Mehdi Abadi, Farzad Rouhani Manshadi, Ramin Hozouri Sharafabadi, Mohammad Ali Tadrisi and Ahmad Jafari Naimi – each were given a three year suspended sentence, and Ezzatollah Khorram, the other person accused in the case, was acquitted of the charges. On July 31, 2012, Mr. Eslami, together with 19 other Baha’is, were arrested and sentenced to one year in prison and a one year suspended sentence for charges of “propaganda against the regime” and “propaganda for anti-regime groups and organizations”. Baha’is in Iran are denied freedom of religion, a systematic exclusion, in contravention of article 18 of the Universal Declaration of Human Rights and Article 18 of the International Covenant on Civil and Political Rights, to which Iran is a signatory, which state that everyone has a right to freedom of religion and to conversion of religion based on personal belief, as well as the freedom to express it individually or collectively, in public or in private. According to unofficial sources in Iran, there are more than three hundred thousand Baha’is; however, the Iranian constitution recognizes only Islam, Christianity, Judaism and Zoroastrianism, and does not recognize the Baha’i Faith. For this reason, Baha’i rights in Iran have been systematically violated for a number of years.